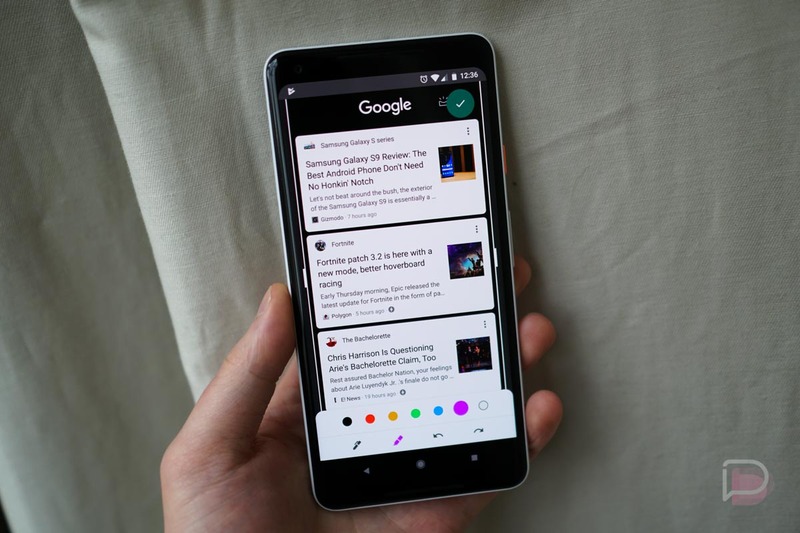 Google has included a new feature/app called Markup inside of Android P that allows anyone who snaps a screenshot to quickly edit it with drawing and cropping. Well, the Markup app has been stripped out of Android P and is now downloadable on a number of devices for sideloading and usage. Once you install the APK (linked below), which should work on basically any device running Oreo and below, simply tap on the “Share” option in the notification pulldown after you’ve taken the screenshot. From the assortment of sharing options, open the Markup app you have installed. Once the screenshot is opened, you can draw to your heart’s content and also crop your screenies. After you save your edits, you may notice a new folder inside of your Gallery app. On my Pixel 2 XL, the screenshots are saved to a new folder called Pictures inside of Google Photos. This is separate from my usual Camera album, so you should have everything separate and neatly organized. For a look at other cool things inside of Android P, check out our updating list.